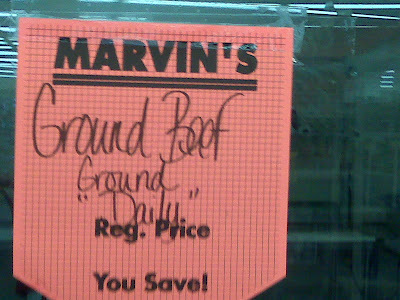 Apparently they grind beef every other day here. Thanks, nameless submitter. I don't get it ... how am I supposed to save anything if it's the regular price?